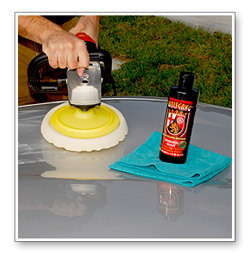 Wolfgang Finishing Glaze removes light haze and improves paint gloss and smoothness. Home > Wolfgang Product Line > Wolfgang Finishing Glaze 3.0 32 oz. Wolfgang Finishing Glaze 3.0 is a fusion of our original Finishing Glaze formula and the latest diminishing abrasives from Germany. We developed this hybrid formula with the goal to create a finishing polish with more correction ability, without sacrificing shine. That's what we have with Wolfgang Finishing Glaze 3.0. This unique formula blends away 2500 grit sanding marks yet finishes with the gloss and slickness of a fine machine glaze. 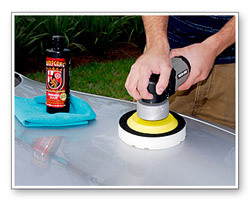 Wolfgang Finishing Glaze 3.0 is gentle enough to use on new OEM paint finishes, yet it is highly effective on hard, ceramic clear coats. The fine, consistently sized abrasives have strength in numbers. 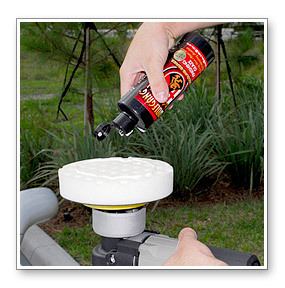 The high concentration of microscopic abrasives smooth minor imperfections in ceramic paint and diminish to an ultra fine abrasive dust. 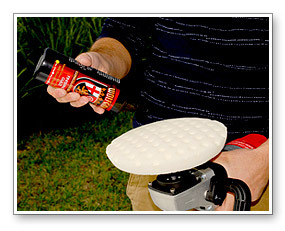 Because these abrasives are so small, they will not mar conventional, "softer" clear coats. You'll get consistently smooth, flawless results every time. Wolfgang Finishing Glaze 3.0 is designed to deliver maximum performance in an easy-to-use formula. The water-based polish is low-dusting, silicone-free, filler-free, and wax-free. Wolfgang's polishes are developed for auto production so every polish they make is suitable for a body shop environment. Wolfgang Finishing Glaze 3.0 combines the shine enhancement of a glaze with the light paint correction of a polish into one ultimate finishing product. 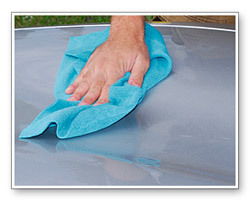 For the maximum gloss, don't apply wax until you've applied Wolfgang Finishing Glaze 3.0. 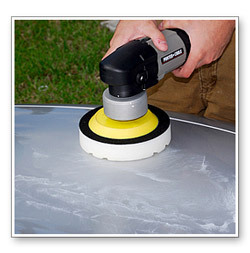 You can also use a rotary polisher to apply Wolfgang Finishing Glaze 3.0. Set the max speed between 1000-1200 rpm.